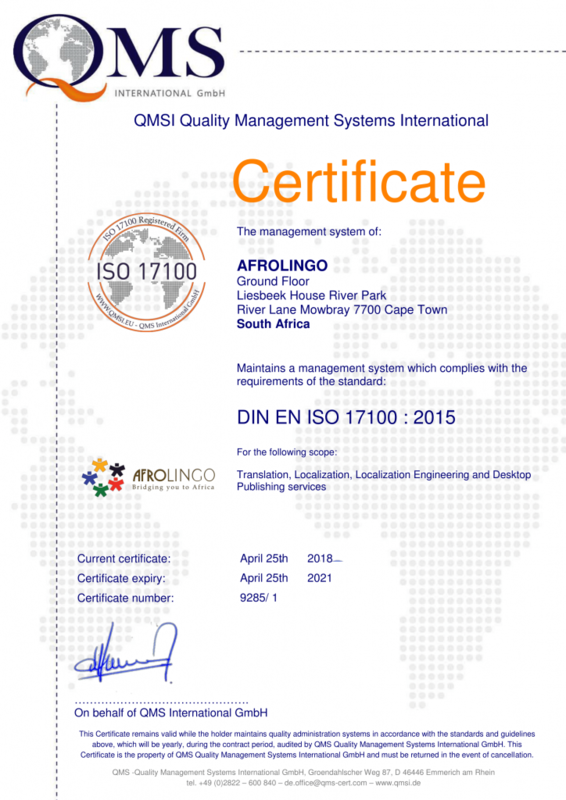 AfroLingo is delighted to announce that they have gained the prestigious ISO 17100 Certification. A company that aims to become the finest translation and interpretation agency in South Africa, AfroLingo dedicates itself to achieving nothing less than customer satisfaction. The ISO 17100 Certification affirms that AfroLingo meets the internationally recognized standard that has been set for companies within the translation industry, covering a range of practices that have been deemed fundamental when it comes to providing a translation service. By having this certification, AfroLingo has officially established itself as a high-quality translation company that follows certain steps in order to ensure that the client receives a service that adheres to best practice protocol. 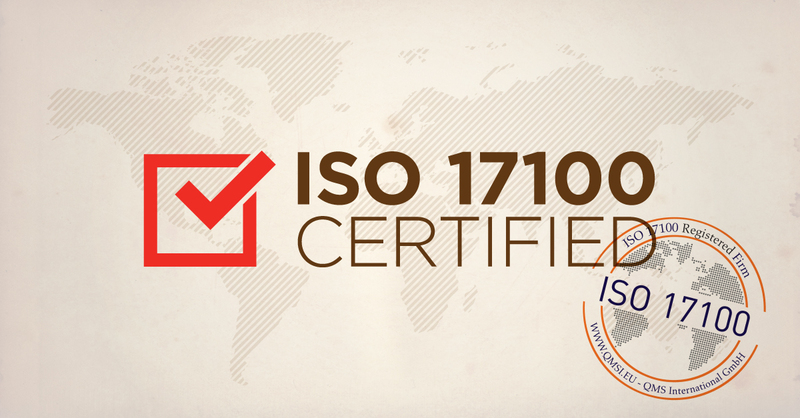 How To Achieve ISO 17100 Certification? The company was given a rundown of areas where they don’t comply, as well as recommendations in order to improve and meet these requirements. The company then has documentation compiled in which non-negotiable procedures are outlined and teamed up with current business procedures. Once the requirements laid out were met, documentation and certification is then granted. The ISO 17100 aims to help improve the standards set within the industry, allowing clients to feel confident in their provider, as well as providers to feel confident offering a structured service that works and improves client interaction. AfroLingo will be able to provide a quality service via a fully traceable system, increase their client base by being able to tender for contracts and ensure that client cases are managed effectively and efficiently. Clients will be able to work alongside AfroLingo with added confidence that they are collaborating with a company that meets industry standards, as well as has qualified and experienced staff.